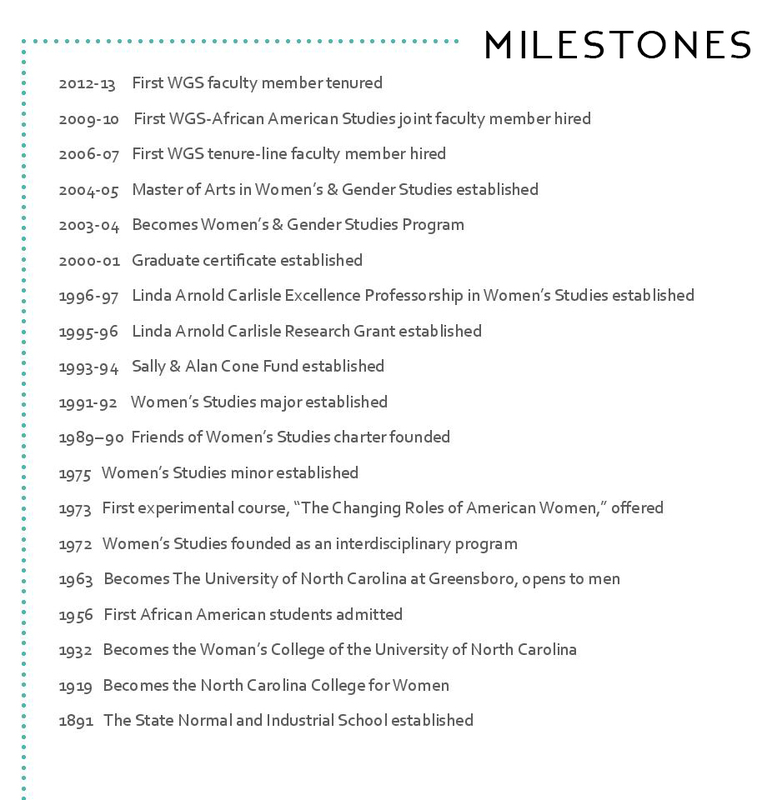 Simply enter your preferred pledge in the “Women’s & Gender Studies Enrichment Fund” box. 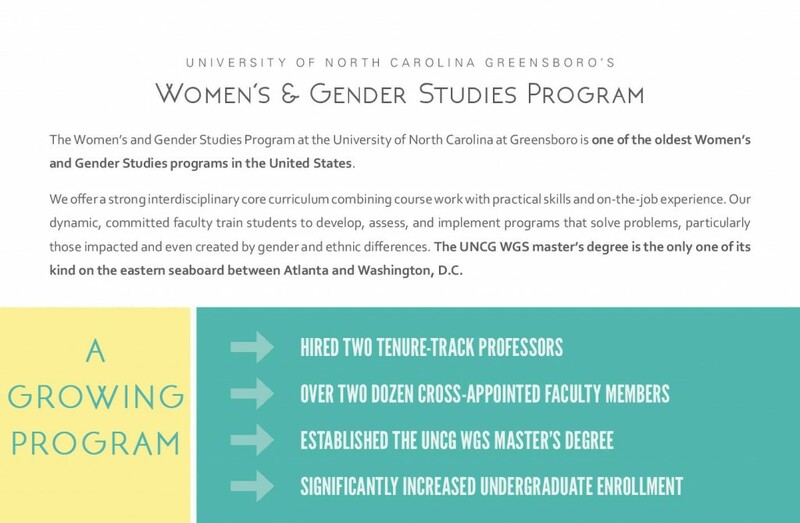 We are especially motivated to strengthen the WGS program now in light of increases in misogynistic, racist, homophobic, transphobic, xenophobic, and Islamophobic rhetoric and policy that have emerged within state and national politics over the last few years. Examples include HB2, assaults on reproductive rights and women’s healthcare, the erosion of voting rights and increased efforts to prevent people from exercising the franchise, the growing prominence of various kinds of hate crimes, the threat of registries for Muslims, and the public normalization of sexual assault. This is a time when intersectional feminist analysis and organizing is more vital than ever. 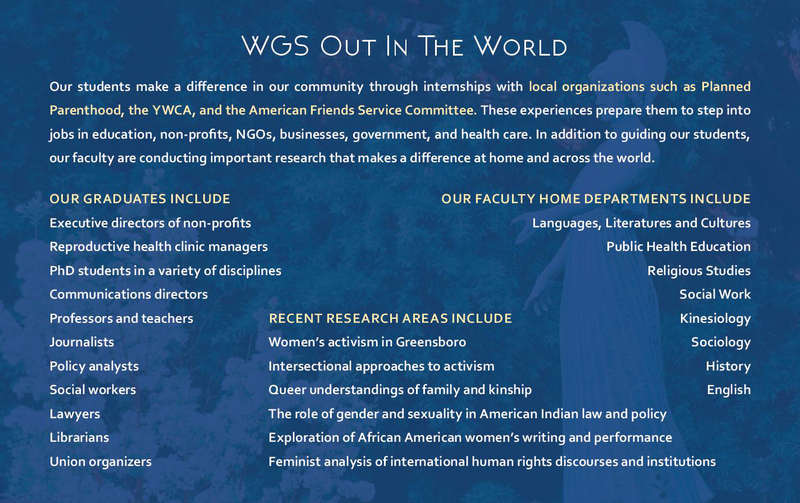 The WGS Program is teaching our students how to understand and grapple with these contemporary realities while seeking to imagine and work toward possibilities for justice – as messy and complex as that process is. We provide necessary tools for understanding the relations among forms of oppression and for seeking to combat them. We have been doing this work for almost half a century, and your help will enable us to continue and extend our efforts in these difficult times.